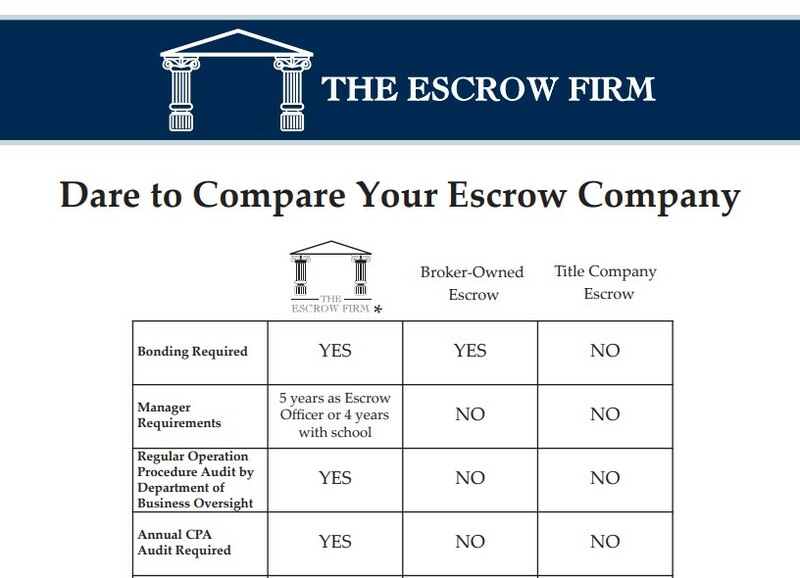 Dare to Compare your Escrow Company - see why The Escrow Firm is the best choice for your transaction. 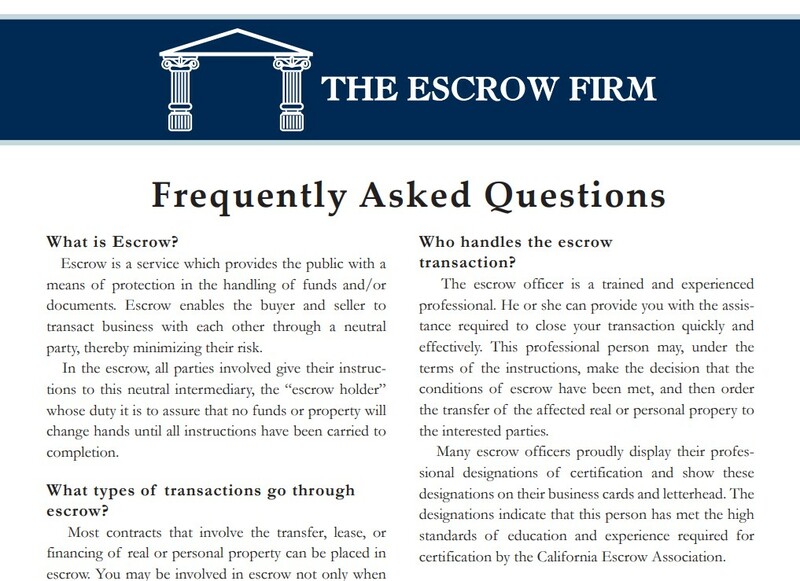 New to the Escrow Process? 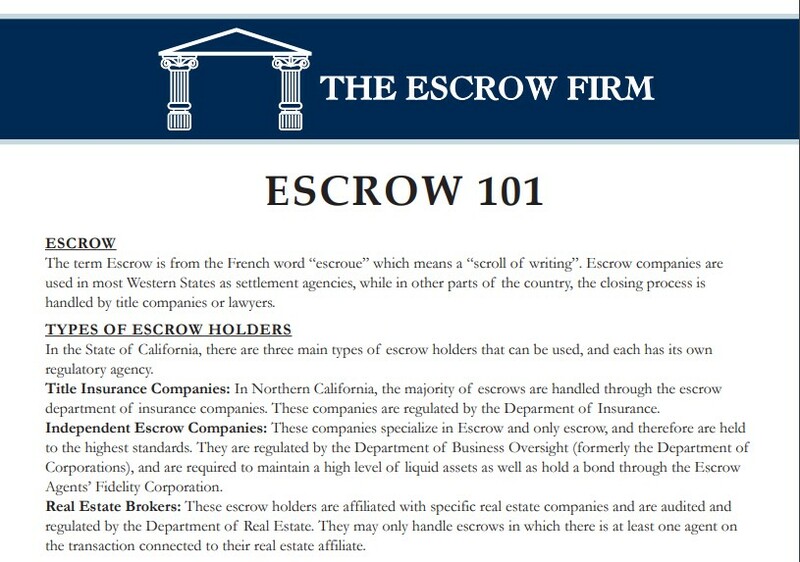 Check out our Escrow 101 educational flyer, and educate yourself on the basics of Escrow! 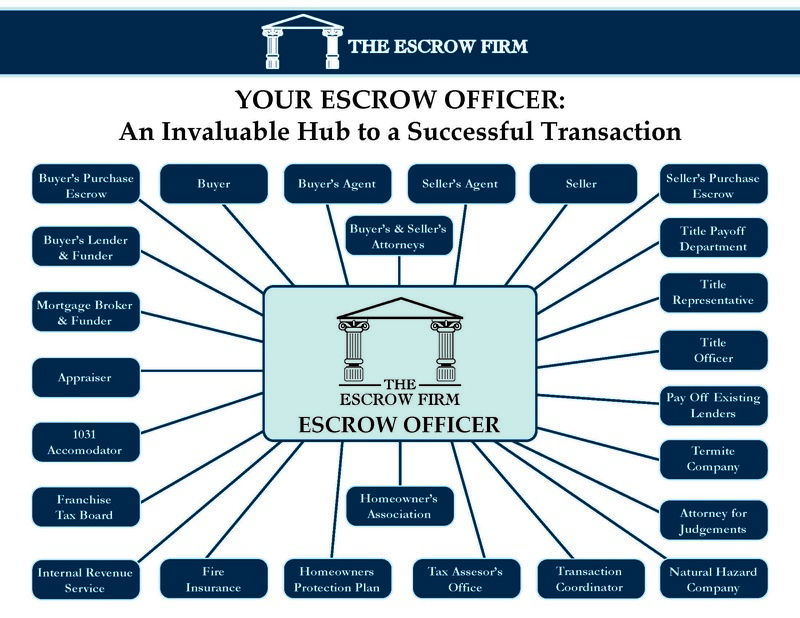 Your Escrow Officer is the hub for a smooth transaction. See how much they do for you! Our Frequently Asked Questions has a one-page, quick reference guide to the most popular questions asked by buyers & sellers. 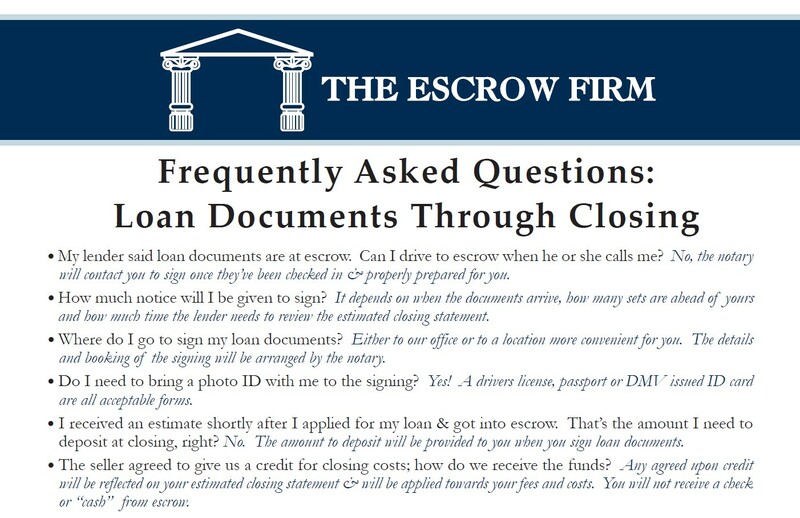 View our FAQ-Loan Docs to Close educational flyer, and learn how the Escrow Process goes after Funding.